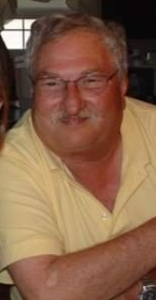 Donato, Frank Jr., – 75, of Cape May Court House, NJ, passed away peacefully with his family by his side on November 24, 2018. Frank grew up in Camden, NJ, where he met his wife Marilyn and they started their family together, later becoming a longtime resident of Ocean City, NJ. Frank spent six years in the United States National Guard and most of his career working in the casino industry, many of which were spent in Atlantic City, NJ and later in a self-employed venture associated with various casinos in the Caribbean. After retiring, Frank enjoyed driving a taxi cab in Wildwood, NJ, spending his days doing what he loved the most—meeting new people and sharing stories. A fan of all Philadelphia sports teams, Frank got to witness his beloved Eagles win the Super Bowl in 2018. Frank had a big heart, touching many lives with his kindness and great sense of humor. Frank is survived by his loving wife of 51 years Marilyn (nee Miller), his three children, Frank Donato III (Kelly), Michael Donato, and Lisa Smith (Tim), and was the proudest Poppop to his four grandchildren, Mia, Tessa, Ryan, and Emma. He was predeceased by his father, Frank Donato, and mother, Dora Donato. In addition, Frank leaves his mother-in-law Laura, sister-in-law Laurane (Jim), and many nieces, nephews, cousins, and lifelong friends. A Celebration of Life will be held after the holidays, for which family and friends will be notified.